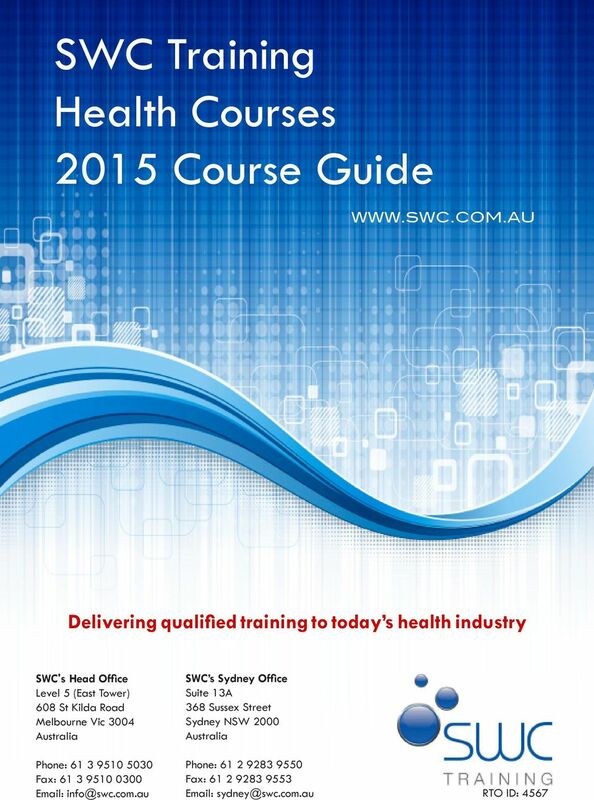 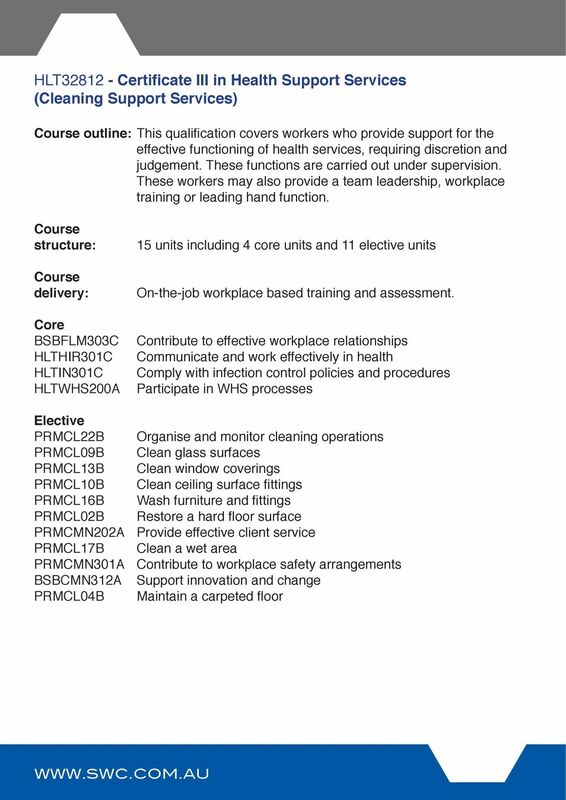 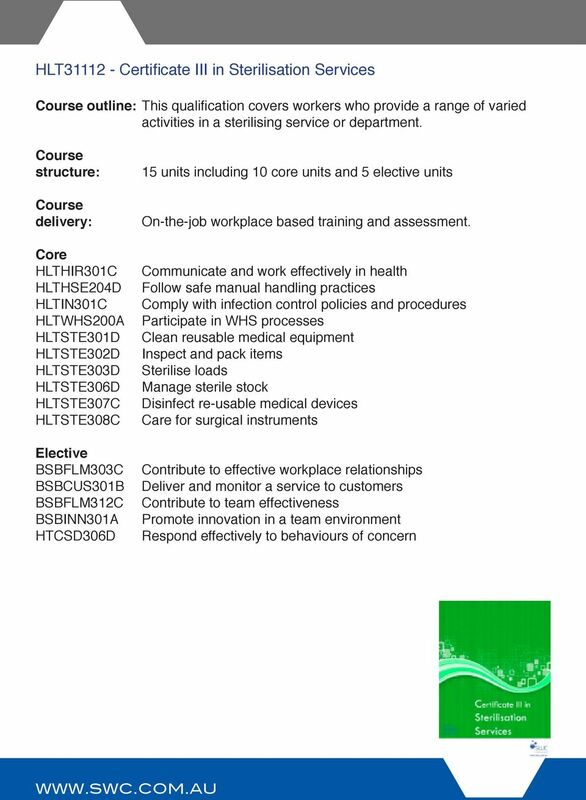 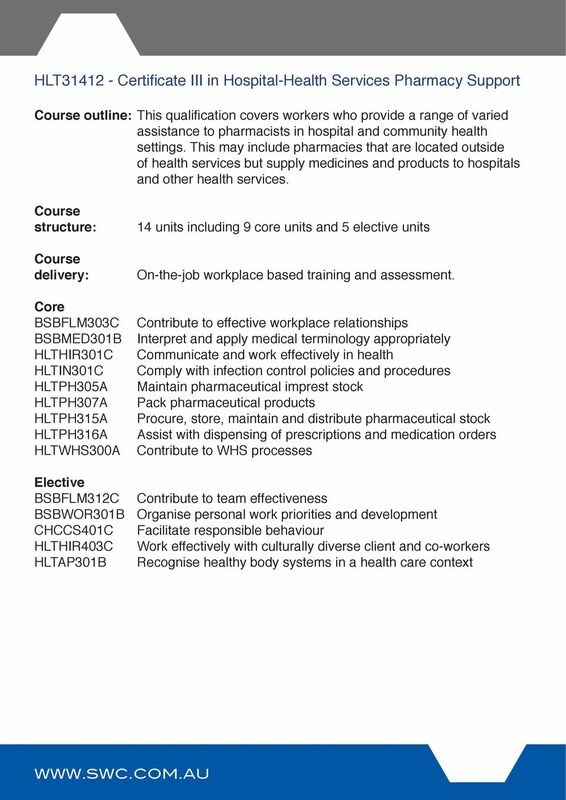 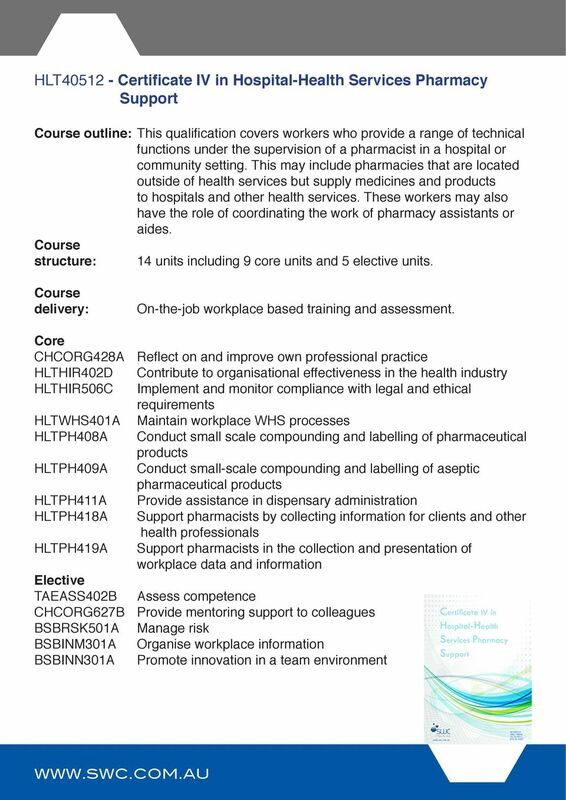 Download "SWC Training Health Courses 2015 Course Guide"
2 About SWC Training Stanborough Wemyss Contracting Pty Ltd (SWC Training) is a Registered Training Organisation (RTO) and Human Resources company delivering courses from national, Australian Training Packages. 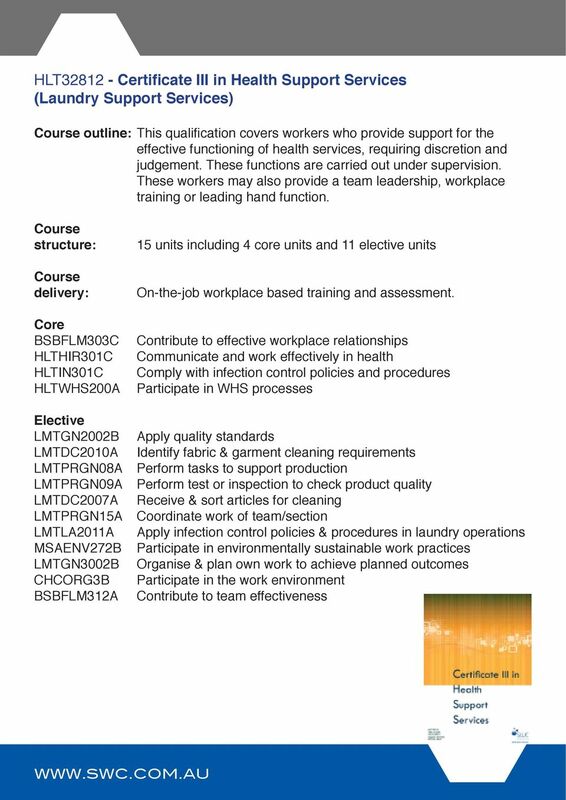 SWC has been working with Commonwealth and State governments for over 20 years. 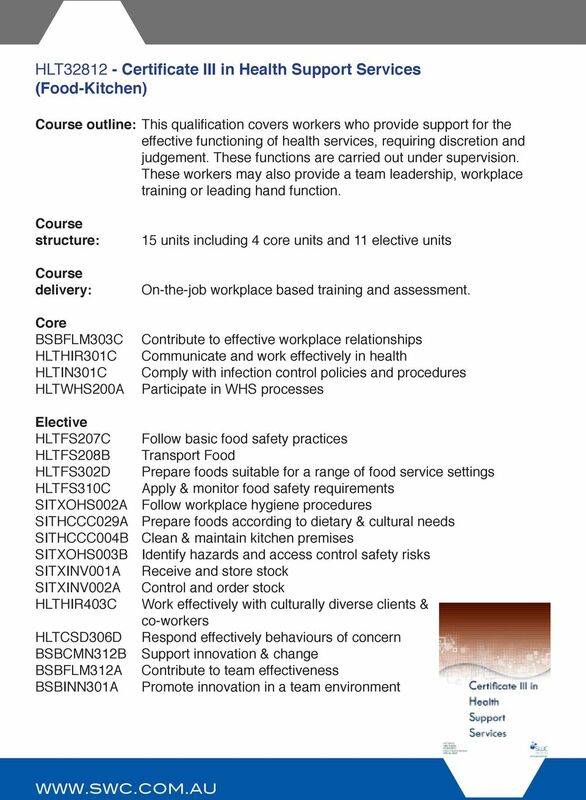 SWC is contracted and approved by the Department of Education and Training in all States and Territories to deliver training throughout all states and territories of Australia, via numerous State and Commonwealth Government programs. 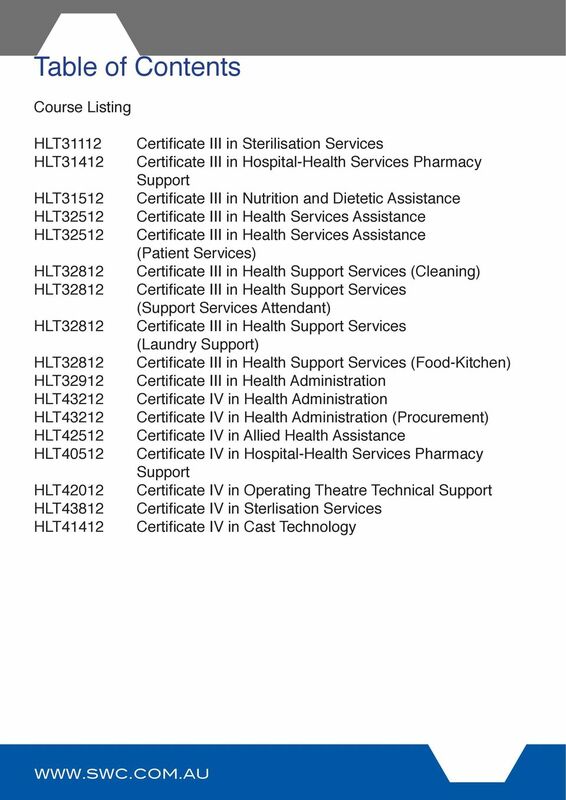 SWC issues nationally recognised certificates. 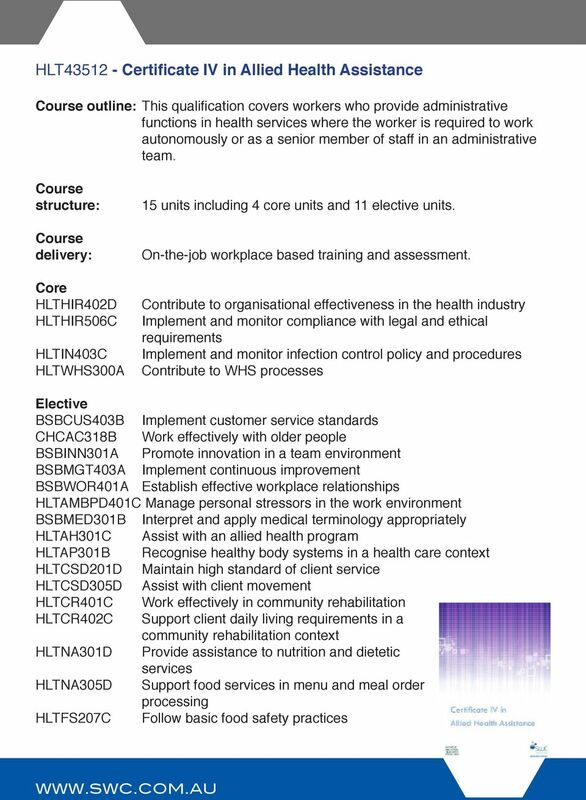 Training programs are designed to be competency based. 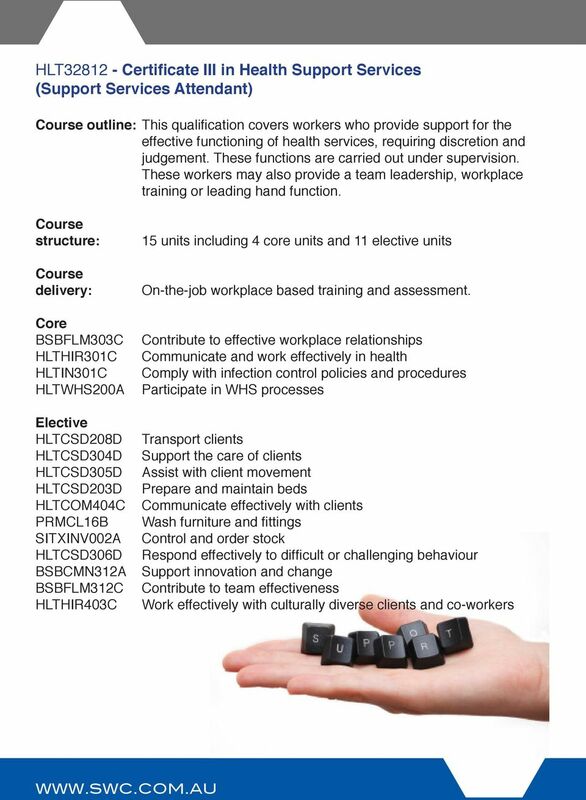 SWC designs and develops learning resources, Mentor Books, Facilitate Individual Learning training books that will serve as extensions to the clients policies and procedures. 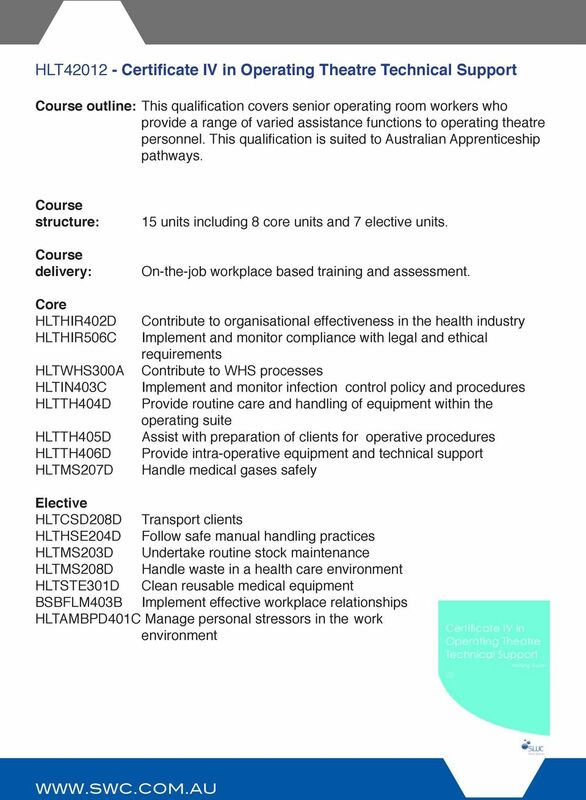 Tailored s content and units of competence are catered to best reflect the work practices of the business, department, hospital, facilility, thus maximising training to the individuals and business. 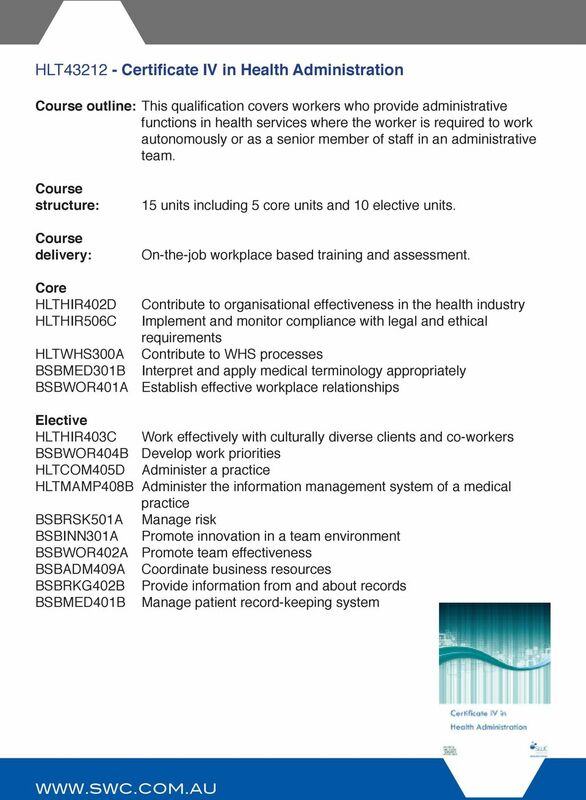 SWC has delivered and/or is delivering training for major hospitals and service providers such as Cabrini Hospital, Western Health, Ramsay Health, Sodexo, Ballarat Hospital, Melbourne Health, Royal Adelaide Hospital, St Luke s, Royal Northshore, Flinders Hospital. These traineeships have been delivered throughout all states and territories in Australia. 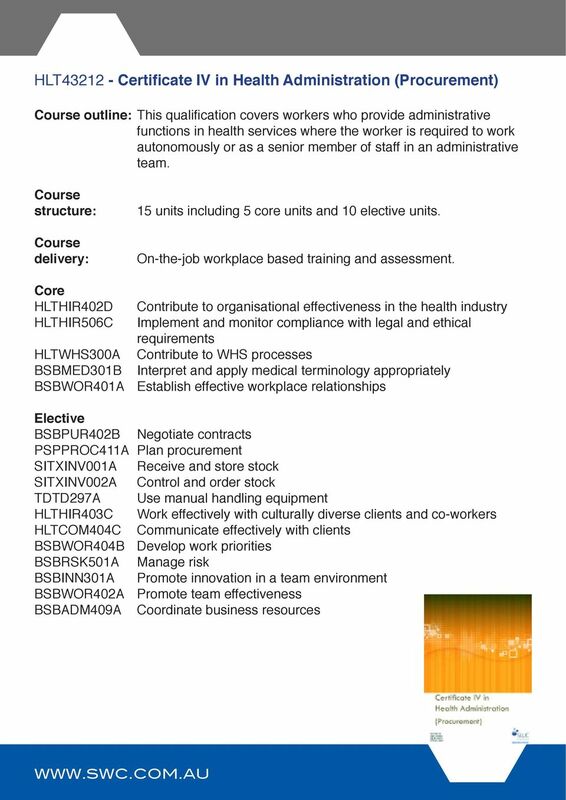 SWC has offices in Melbourne, Sydney, Brisbane, Perth and Adelaide. 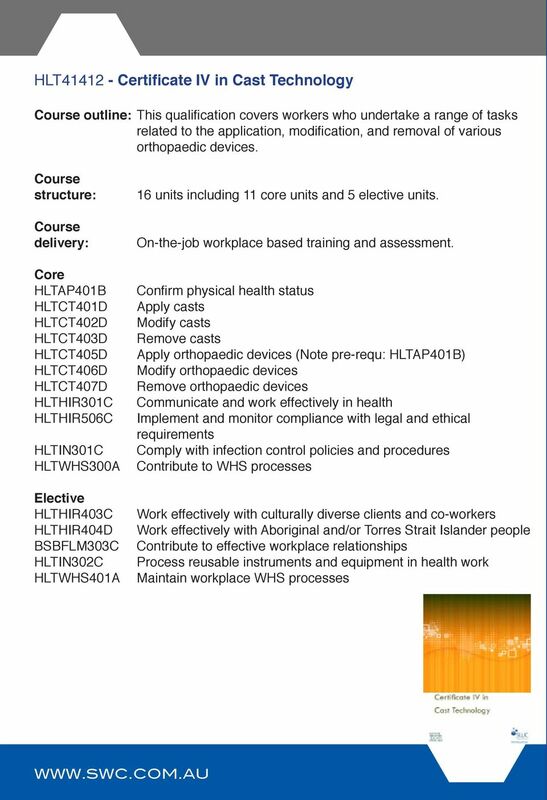 Benefits of training Staff development Improved work performance Recognition Staff retention Provides structured career path Employees are much more receptive to on-the-job training than classroombased training. 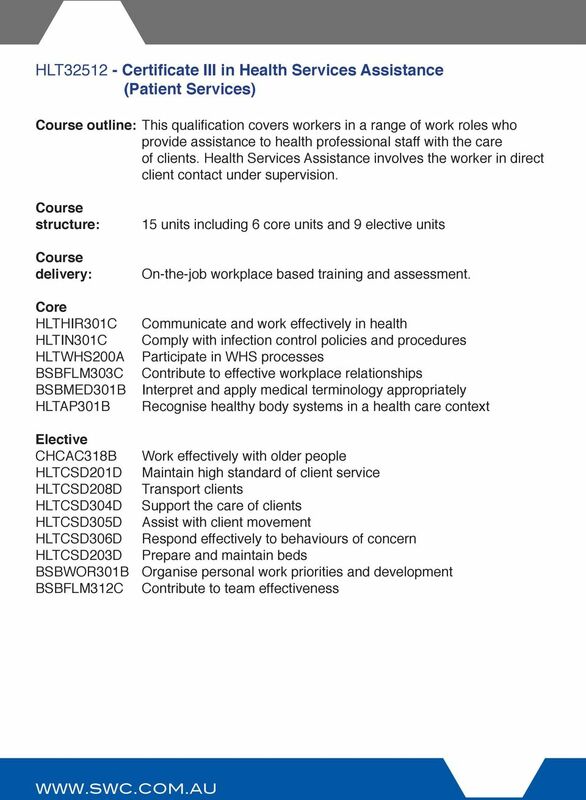 Staff do not Pass or Fail, rather they are deemed either Competent or Not Yet Competent and have unlimited opportunity to prove their competence Employees receive National Accreditation Certificates which would normally require anywhere up to two years full time study.